Whether developing strategic communications plans, managing outreach, or advocating for a cause, Isobel helps nonprofits be heard. She’s a seasoned writer, editor, and strategist — and she loves nothing more than helping an organization shape a compelling agenda for change. Isobel has over 15 years’ experience in communications, and has served as communications architect for multiple campaigns to achieve legislative and public policy victories and to promote public engagement. She’s written everything from action alerts to op-eds that have appeared in top publications around the country. 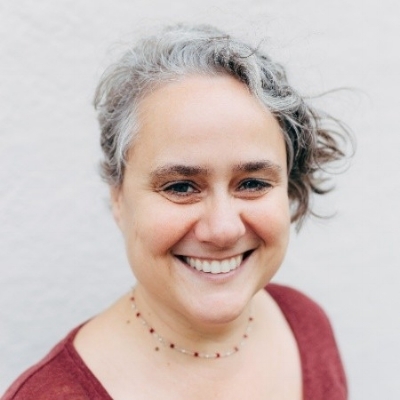 Isobel’s diverse array of recent clients include First 5 San Francisco, Tipping Point Community, and Human Impact Partners. Formerly a communications director with the Service Employees International Union, Isobel managed communications and media campaigns to fortify the organizing efforts of janitors, nursing home workers, and other low-wage workers. She also previously worked with the ACLU of Northern California, the National Center for Lesbian Rights, and Mi Familia Vota, in each case using communications to further an agenda for equity, inclusion, and justice. Isobel’s academic background — including a B.A. in public policy from Brown University and M.A. in urban planning from UCLA — provides her with just enough understanding of policyspeak to translate it into language that resonates with grassroots constituents, journalists, and bloggers. When she’s not writing, pitching, or strategizing, Isobel finds ways to grow the resistance, volunteers at her daughter's public school, and cultivates equanimity.